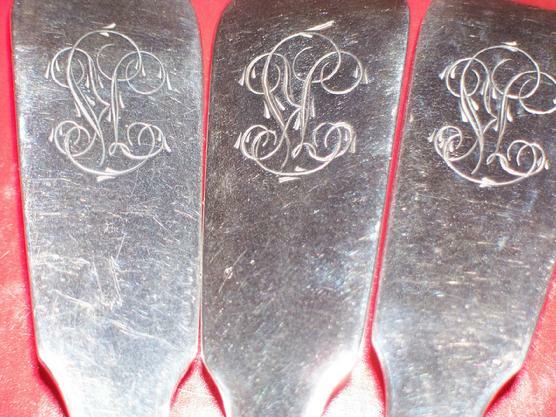 Rare set of three matching monogramed dinner spoons. 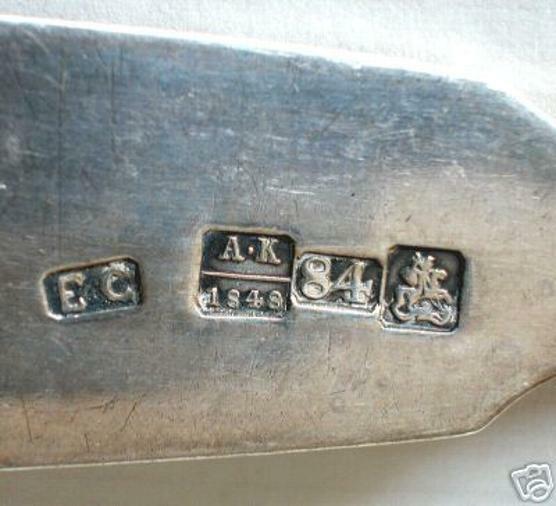 Fully marked with year 1848 and assayer "A.K". 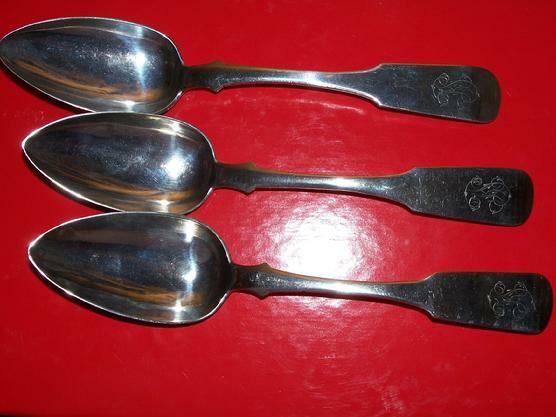 in cyrillic "E.C"(Egor Seppe).Each spoon is fiddle pattern. Length 8. 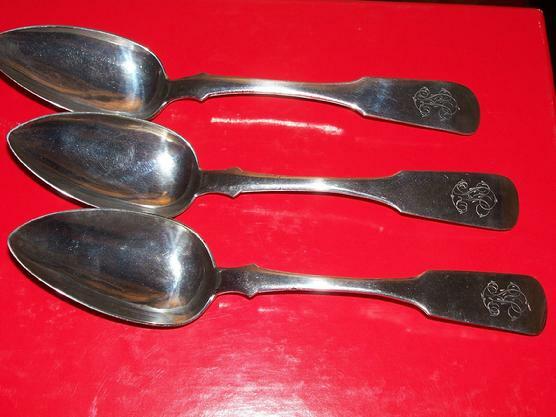 1/4"or 20.5 cm. 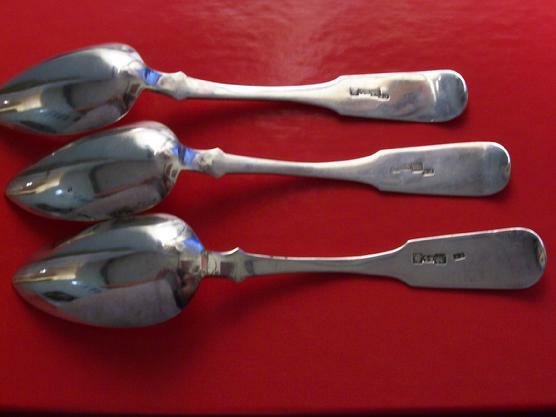 Total weight: 5.8 oz, or 163 gramms.